The 2017 Mahindra Scorpio facelift variant will most likely get some exterior and interior updates while there won’t be any significant change under the hood. The SUV was caught testing couple of times already which gives us an idea that it will most probably launch towards the end of 2017. Request a test drive for Scorpio in Hyderabad at Tryaldrive. The Scorpio is one of the first SUV’s which was developed in-house by M&M engineers. M&M engineers also developed the 2.2 Litre mHawk engine which powers some other Mahindra suvs at the same time. While the launch of the new Scorpio facelift is nearing, we are here to provide you all the details of the facelifted SUV available at this moment. The Scorpio has maintained the essence of the design of the original car and the styling is rather timeless. Over the years, the signature vertically slatted grille has become sharper and the large front bumper has gained muscle. The chrome lined slats gets a black mesh-grille background while the crystal headlamps are blacked out for that aggressive look. The blacked out lower half of the bumper with the contrast bash-plate and the chrome-bezel fog lamps complete the fascia. Moving on to the sides, the profile is unmistakably Scorpio and has remained almost the same over the past two decades. The long hood with the signature scoop, an upright windscreen and the three-cab profile is complemented by the body-coloured cladding and the stepper. Large 17-inch alloys with the all-terrain Apollo 235mm profile tyres add to the bulk. While the tail lamps are almost the same, the design of the tail gate has been revamped. The black cladding band across the width has been ditched and the single tone sculpted tailgate makes the new Scorpio look suave. Like we already mentioned earlier the facelift Scorpio won’t be receiving any changes under the hood. The Mahindra Scorpio will continue to be powered by the 2.2 Litre mHawk diesel unit. This is the same unit which also powers the slightly more premium Mahindra XUV500 SUV as well; this engine is capable of producing about 140 Bhp of peak power and 280 Nm of torque. The engine is paired to a 5-speed manual transmission as standard while Mahindra will also introduce a new Automatic transmission as well because they already have discontinued the older unit. The reports online state that Mahindra will introduce a new Aisin sourced 6-speed automatic unit which supposedly will be much smoother and responsive at the same time. Mahindra does offer the Scorpio SUV with both two-wheel as well as four-wheel drive configuration. Mahindra Scorpio On-Road Price in Chennai ranges from 10,66,651 to 19,68,050 for variants Scorpio Getaway 2WD and Scorpio S11 4WD respectively. Mahindra Scorpio is available in 8 variants and 8 colours. Below are details of Mahindra Scorpio variants price in Chennai. Check for Scorpio price in Chennai at Carzprice. Content marketing as we know it did not exist 15 years ago, but it has become an omnipotent marketing concept in the meantime. People claim that “content is king” because it really is – it costs over 60% less than traditional marketing, but it generates three times as many leads. Creating excellent content is the fastest way to win over the audience and grow your business. However, a study reveals that over 70% of readers claim they were turned off by content that seems like a sales pitch. Users obviously don’t want to consume low-quality content, so you have to prepare a strategy that guarantees success. 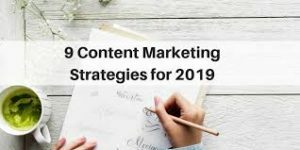 In this post, we will show you nine content strategies you need for your business. Each activity has its special purpose and so does content creation. Before you start writing posts or re-arranging the existing content, you must clearly define your business objectives. Are you a new company trying to raise awareness and drive website traffic? Perhaps you already attract a lot of visitors, but fail to convert? In each case, you need to know what you want and define the corresponding KPIs. It will stop you from wandering around and help you focus on relevant topics only. Content creation is a long-term and systematic activity, so it is crucial to plan your posts well in advance. This means you should make a content calendar with all the publishing dates, including the ones revolving around big industry events, holidays, product releases, and other important happenings. The goal of planning is to make sure you have enough material to publish week after week. Doing so, you keep the audience engaged and eager to see your next post. Once you’ve got everything prepared, you need to start making outstanding content. What does it mean? Generally speaking, it means creating a custom essay and highly educational and engaging content that perfectly resonates with the needs of your target audience. If you want to talk about details, the best posts are usually longer: a study suggests that the ideal length of a blog post is 1.6 thousand words. Besides quantity, you should think about elements such as headlines, article structure, backlinks, and calls to action. Each component must be perfectly incorporated into the text in order to drive user engagement and earn you fresh leads. Humans are visual beings and they process imagery much faster than textual content. In such circumstances, adding photos, infographics, and videos to your articles is mandatory. You can also think about GIFs, memes, or any other type of multimedia content that can enrich your posts. This is a great way to make the content more appealing and interesting, but also to break larger bulks of text into smaller units. Social Media From Facebook to Pinterest, there are dozens of social platforms that can introduce your content to millions of consumers worldwide. Email marketing: The oldest channel of digital marketing still remains one of the most productive solutions. Paid advertising: While your goal is to achieve organic visibility, sometimes you have to add paid advertising to your content strategy. Before publishing posts, you must edit and proofread event the smallest pieces of content. First of all, you can do it single-handedly. Take some rest after completing the post and then go back to it to identify and remove mistakes. The second option is easier: use professional editing services such as assignment service, Grammarly, Ggrade Miners, or Hemingway App. These are all expert agencies and tool that can proofread content very quickly and give you useful style-related suggestions. This makes the process faster and more productive because you can focus on more important daily tasks. Marketing intelligence is the last tactic you need to apply. You are probably going to make a lot of content, so it’s essential to measure the results of your efforts and analyze the entire strategy. It should be an easy process if you set the right parameters and know the overall campaign objectives, as determined in the first section of our post. Content creation is the most important component of contemporary marketing. Quality posts raise brand awareness, drive website traffic, and generate leads and conversions. However, it takes an outstanding strategy to make your content work. In this article, we explained to you nine content strategies you need for your business. Did you already use any of these tactics? Do you have other valuable ideas to share with our readers? Let us know in comments and we’ll be glad to discuss it with you! Nissan Motor India Private Limited, the Indian subsidiary of Japanese autogiant Nissan, owns a fleet of vehicles, belonging to almost every segment from hatchback to SUV in the country. In the entry-level saloon segment, it offers the Sunny sedan which is truly a royal wagon to drive. Nissan Sunny hit the Indian shores firstly in 2011 and it was received considerably well by the auto freaks in India. But along the course of time it lost its glory and hence, in an awe to re-create the enigma and panache, the company has launched the second generation of the entry-level saloon in the country being cited as ‘Nissan Sunny’. It is more promising, advanced and striking than its predecessor and looks complete. Book a test drive for Nissan Sunny in Hyderabad at Tryaldrive. Now walk towards the side profile of the sedan and you will notice that Nissan has replaced the old ORVMs with new sleeker ones while the front apron now boasts of a more sporty and dynamic design. The top end variant gets a new 15 inch 12 spoke alloy wheels which definitely adds to the styling of the sedan furthermore. The rear too gets a chrome trunk highlight on the top end variant while the other variants gets a black Slitter which makes the humongous boot look good.The Nissan Sunny is known for its generous proportions and class-leading cabin space. The new model continues to build on its qualities by creating a more stronger and contemporary look. The numerous aero-upgrades have helped achieve a very low coefficient of drag, this also aid’s fuel economy. Nissan had updated the Micra last year and that facelift had transformed the interiors of the car drastically. Similar changes now flow into the Sunny, which also gets a new centre console with piano black finishing. The AC controls see minor changes while Nissan has made heavy changes to the dashboard of the car. The instrument cluster gets a new fine vision meter which changes the way the console is lit, the multi-information display now getting white lighting. Lower variants still get a basic cluster. The steering wheel too has been ditched for a new and sportier unit. The new 3-spoke steering feels much better to hold and doesn’t come across as too big, the audio control buttons having a slick feel. The beige and grey interior has been replaced by an all black interior which looks so much better, invoking a sporty feel inside the cabin. The rest of the Nissan Sunny remains identical. You get a cabin which truly has acres and acres of space, more so for rear passengers who can sit and stretch like they are in a lounge with 636 mm of legroom, easily class leading. Good headroom, decent under-thigh support (a bit lacking for tall passengers at the rear), two reading lights at the rear (there are four cabin lights), a chiller of an AC (with rear fan vents which pull AC air from the front), all play a big role in ensuring the Sunny is among the best cars in its class to be chauffeur driven in, the airy cabin further accentuating the backseat appeal. Our only gripe with the cabin is the doors don’t auto lock. Nissan has given the Sunny Bluetooth connectivity and the 2-DIN audio system with a 5.1-inch screen is new as well. The top variants (XV and XV Premium) also get reverse parking sensors and a reverse camera. The XV Premium variant is available in two optional packs – Safety Pack adds side airbags while Luxury Pack consists of genuine leather seats along with a leather wrapped gear knob. On the other hand, the diesel avatars of Sunny are being offered with 1.5-litre K9K dCi engine which has been re-tuned to yeild a better fuel economy. The 1461 cc motor has Common Rail fuel system and it generates a maximum power output of 84 bhp at 3750 rpm along with a peak torque performance of 200 Nm at 2000 rpm. Sadly, there is not an automatic transmission on offer in the diesel fuel trim and the company has opted for its conventional 5-speed manual transmission in an awe to maximize mileage and performance. The petrol powertrain delivers decent performance, but the noise creeps in the cabin post 4000rpm. The tall gearshifts affect its performance over 120kmph. The engine takes time to pick-up from low revs in high gears. The clutch is light and the gearbox is sleek. The diesel variant of the sedan is slightly more efficient and engaging than its old model. It delivers an impressive city and on highway performance. The handling isn’t best in the segment, but decent with light steering and decent grip. The sedan offers a brilliant ride quality, thanks to the calibrated suspension. Braking performance is good. It gets strong front disc brakes and rear drum brakes. The well-calibrated ABS (Anti-lock braking system) with EBD (Electronic brakeforce distribution) and brake assist avoid skidding, and ensure safe drive. However, the brake pedal needs an improvement.The sedan is among the well-equipped and safest Nissan car models in India. All the variants of the sedan get ABS (anti-lock braking system) with EBD (electronic brake-force distribution) and brake assist, driver airbag, central door lock, door ajar warning, immobilizer, key remove warning lamp, low fuel level warning, headlight on warning lamp and speed sensing auto door lock. Features like front passenger airbag, side airbags, seat belt warning lamp, anti theft device with alarm and front fog lamps are available only on the top-model. Nissan Sunny On-Road Price in Chennai ranges from 10,82,166 to 19,48,929 for variants Sunny XE Petrol and Sunny XV Diesel respectively. Nissan Sunny is available in 6 variants and 6 colours. 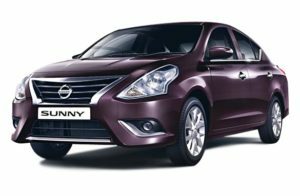 Below are details of Nissan Sunny variants price in Chennai. Check for sunny price in Chennai at Carzprice. 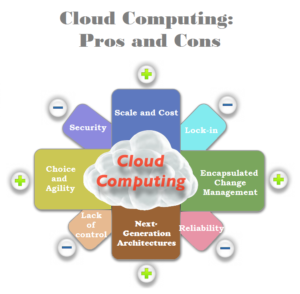 Cloud computing is probably the most cost-efficient method to use, maintain and upgrade. Traditional desktop software costs companies a lot in terms of finance. Adding up the licensing fees for multiple users can prove to be very expensive for the establishment concerned. The cloud, on the other hand, is available at much cheaper rates and hence, can significantly lower the company’s IT expenses. Besides, there are many one-time-payment, pay-as-you-go and other scalable options available, which makes it very reasonable for the company in question. Since all your data is stored in the cloud, backing it up and restoring the same is relatively much easier than storing the same on a physical device. Furthermore, most cloud service providers are usually competent enough to handle recovery of information. Hence, this makes the entire process of backup and recovery much simpler than other traditional methods of data storage. In the cloud, software integration is usually something that occurs automatically. This means that you do not need to take additional efforts to customize and integrate your applications as per your preferences. This aspect usually takes care of itself. Not only that, cloud computing allows you to customize your options with great ease. Hence, you can handpick just those services and software applications that you think will best suit your particular enterprise. Though it is true that information and data on the cloud can be accessed anytime and from anywhere at all, there are times when this system can have some serious dysfunction. You should be aware of the fact that this technology is always prone to outages and other technical issues. Even the best cloud service providers run into this kind of trouble, in spite of keeping up high standards of maintenance. Besides, you will need a very good Internet connection to be logged onto the server at all times. You will invariably be stuck in case of network and connectivity problems. The other major issue while in the cloud is that of security issues. Before adopting this technology, you should know that you will be surrendering all your company’s sensitive information to a third-party cloud service provider. This could potentially put your company at great risk. Hence, you need to make absolutely sure that you choose the most reliable service provider, who will keep your information totally secure.